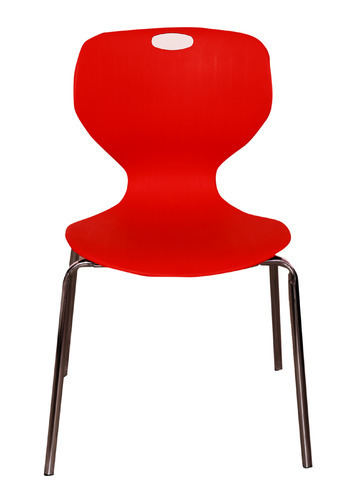 We are offering Cafe Chair to our clients. Incorporated in the year 2014, "VJ Interior Pvt. Ltd." is a well-known Manufacture, Wholeseller, Supplier of Office and Home Furniture such as Office Chair, Office Desk, Office Sofa, Visitor and Executive Chair, Double Bed, Sofa Set, Bean Bags, Dining Set, Center Table etc. These products are highly praised in the market owing to their superior quality, durable nature, trendy designs, fine finish, and sturdy construction and affordable prices. Our offered products are used in several places such as residential, commercial, hotel, restaurant and college and many other places. Our products are prepared under the supreme leadership of highly talented experts who have vast knowledge of this industry. Moreover, due to timely delivering and finest quality of products, we earned the faith of the customers. Apart from, for the customer easiness we accept several types of payment mode such as Cash, Cheque, DD, Online etc.